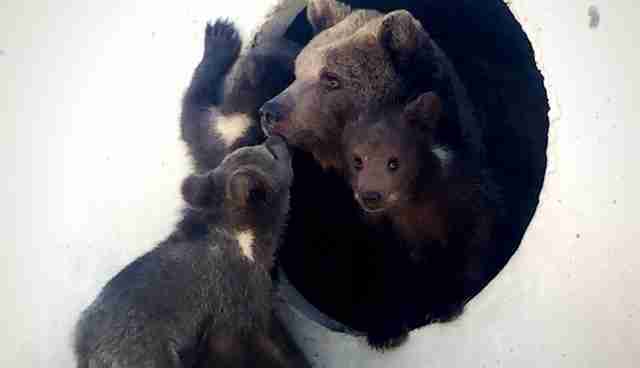 For one group of rescued black and brown bears, they're finally getting to live the way they should have been living all along - outdoors and with their families. In the aftermath of the Zanesville animal massacre in Ohio in 2011, where lions, tigers, bears and other wild animals had been released by their owner, who then committed suicide, to roam the town - lawmakers knew swift change was needed. On that day, police officers found themselves with no other choice but to kill nearly 50 animals who were reportedly displaying aggressive behavior. In order to prevent another incident like Zanesville - one that would risk the lives of not only endangered animals, but humans as well - the Ohio Dangerous Wild Animal Act was passed the following year, calling for stricter regulation pertaining to the ownership of wild animals and restricted snakes. From there, it was a race for exotic pet owners to either comply with the new regulations or give up their animals to state officials. As a result, nine bears found themselves without homes. 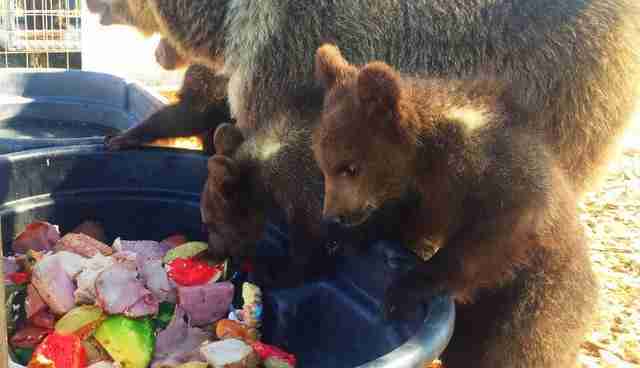 Four out of the nine surrendered bears came from Ohio's infamous Stump Hill Farm - a place that calls itself an exotic animal rescue, but is arguably more like a breeding facility, boasting a long history of animal welfare violations. 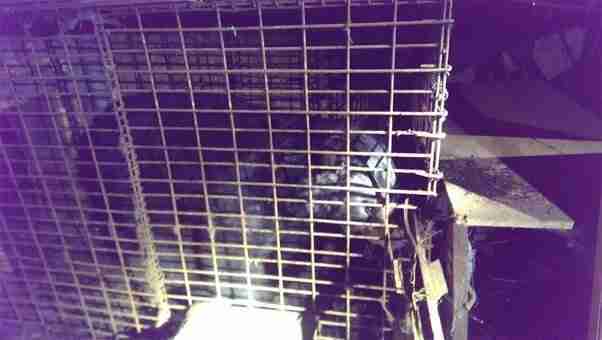 Others came from roadside zoos or cages in private backyards. All were in rough shape, PETA wrote in a press release. Some of the bears were underweight, while others were overweight. Some had been declawed. Many had lived in filth and rust. One bear lived in a small cage nestled within a dark barn. 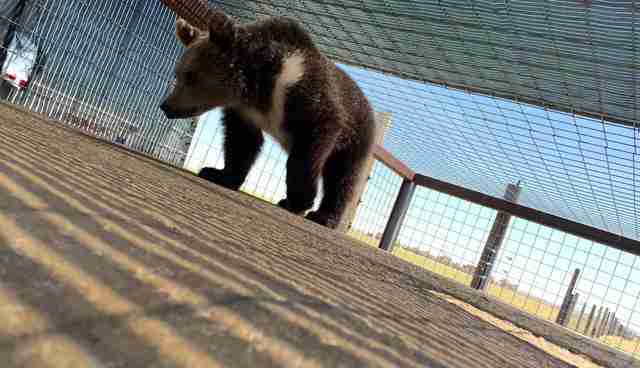 The bears resided in a temporary state holding facility until they could be relocated to a suitable, permanent home. And those numbers soon grew. 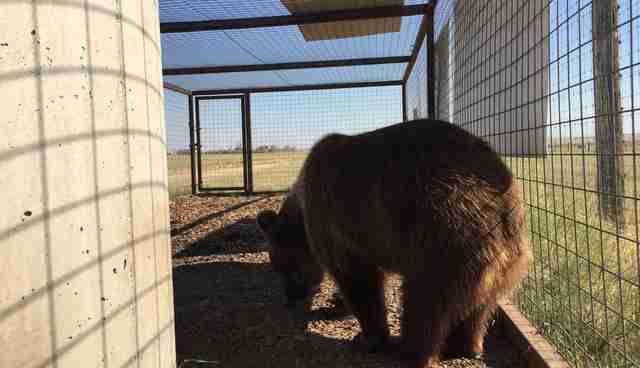 Two bears named Ersila and Molly were pregnant and ultimately gave birth to cubs while at the holding facility - Ersila had three while Molly had one in January of this year, bring the total number of bears to 13. After months of waiting, opportunity to finally go to a real, permanent home presented itself. 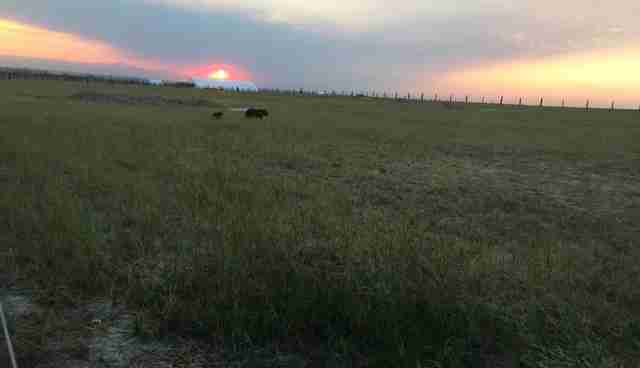 When the 13 bears were transported to The Wild Animal Sanctuary in Colorado, they were able to take their first few steps into the outdoors - signaling the start to a more natural way of life they had been denied for years. They were cautious at first, but nonetheless happy as they began to explore their new surroundings. In newly released footage, the bears are seen rolling around in leaves, thoroughly enjoying the new sensation. 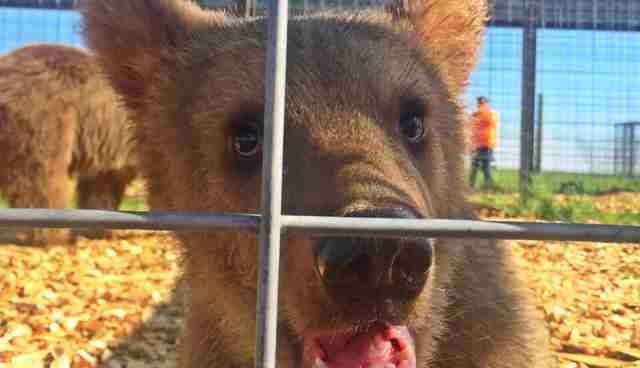 "Captive animals like these bears that have spent their entire lives in concrete and steel cages don't just run free the second you open the door, as they have only known the small space they've had forever," Pat Craig, executive director of the sanctuary, said in a statement to The Dodo. "Eventually, they become very comfortable and feel totally safe anywhere in the habitat, but each one does it at his or her own pace," he continued. For the two bears who arrived with cubs, this occasion is especially momentous - it's more than likely this marks the first time they're able to raise their own cubs in peace. 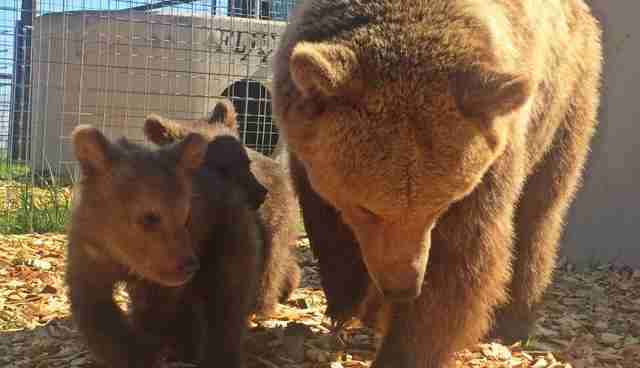 "The previous owners bred the bears on purpose each year in order to sell their babies, but this time the mothers were confiscated before they could get the babies from them," Craig said. 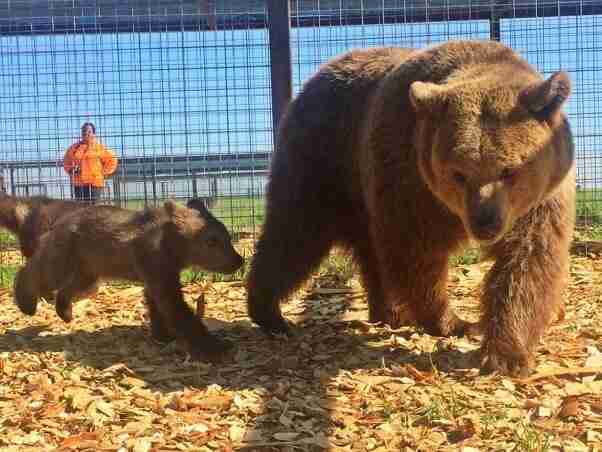 "Now these two mothers can raise their cubs for the next few years more naturally, roaming freely within the 20-acre habitat," he said. 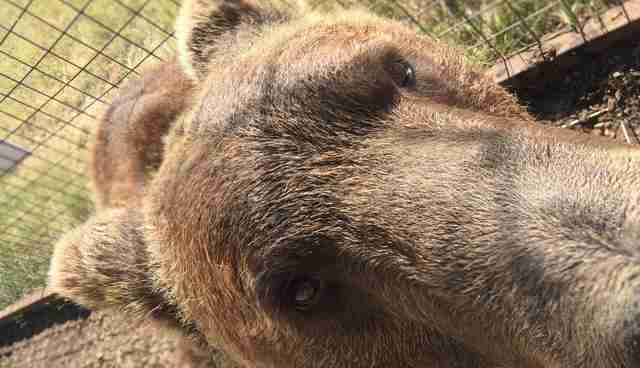 Want to help The Wild Animal Sanctuary continue doing good work? Check out all the ways you can make a difference here.